The second in my Beasts of Monster Hunter 4 Ultimate series covers the Kecha Wacha! 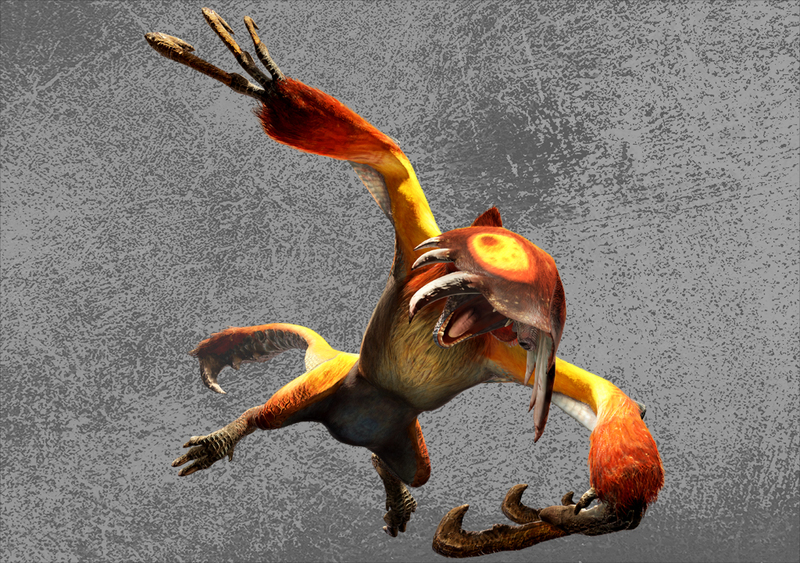 The Kecha Wacha is a Fanged Beast with striking orange fur found early on in Monster Hunter 4. It has a trunk-like appendage protruding from its face, spikes coming out of its ears and two pairs of wicked, hooked claws. It has a membrane connecting its arms to its body which is uses to fly, like some kind of glider possum. It’s also getting a subspecies in Monster Hunter 4 Ultimate that will use fire. The Kecha Wacha is weakest to fire. It deals water damage and doles out waterblight, so be sure to keep this in mind when selecting your equipment. 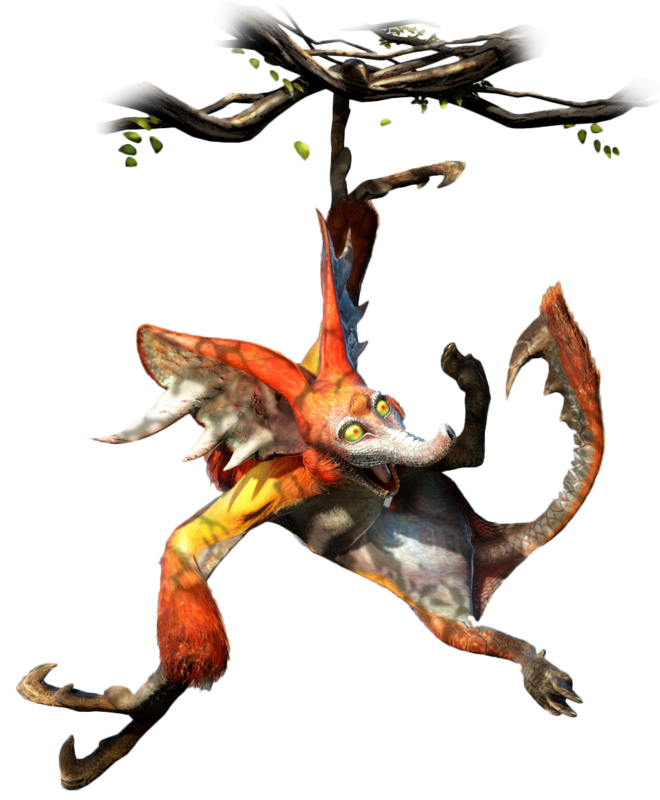 Monster Hunter 4 contains many tiered areas because of the new jumping mechanic, which the Kecha Wacha uses to its full advantage. If you’re on the top area, it can attack through the terrain with a swiping claw attack. When you’re on the ground, it likes to hang from areas aboveground and spit balls of water at you. These water balls work in a similar way to the Seltas’ defence-down attack; it fires three at all different angles. This is the Kecha Wacha’s only water-aligned attack, and it inflicts level one waterblight. When it’s low on stamina, these blobs will fail to shoot. The Kecha Wacha is quite fond of using its claws. It has a powerful attack in which it jumps into the air and slams them into the ground. It’ll do quite a bit of damage if the attack lands, but if you manage to avoid it you can get a few good hits in while it attempts to yank them back out of the ground. It has another claw attack which sees it spin on the spot in a semicircle, slamming its claws on to the ground repeatedly as it turns. When the Kecha Wacha gets enraged, it folds its ears over its face to form a mask which I found absolutely terrifying the first time I saw it. While angry, its moves get faster and they deal more damage. The Kecha Wacha’s ears, claws and tail are all breakable. The ears are especially noticeable, as they become severely torn when they’re broken. Its large ears make it susceptible to sonic bombs while it’s hanging from something, allowing you to get in a few free hits while it’s down. When it’s low on stamina, it recovers it by flying to another area to eat an aptonoth. It sleeps hanging upside-down from the top of a tiered area, which can be difficult to reach for some weapons. That’s everything there is to know about the Kecha Wacha. Make sure to check out a similar piece written by Yuri on the official Capcom blog. Tune in next time for the Tetsucabra! 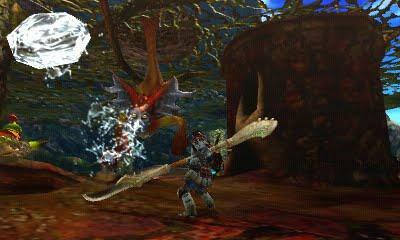 Images taken from Capcom and the Monster Hunter Wiki.